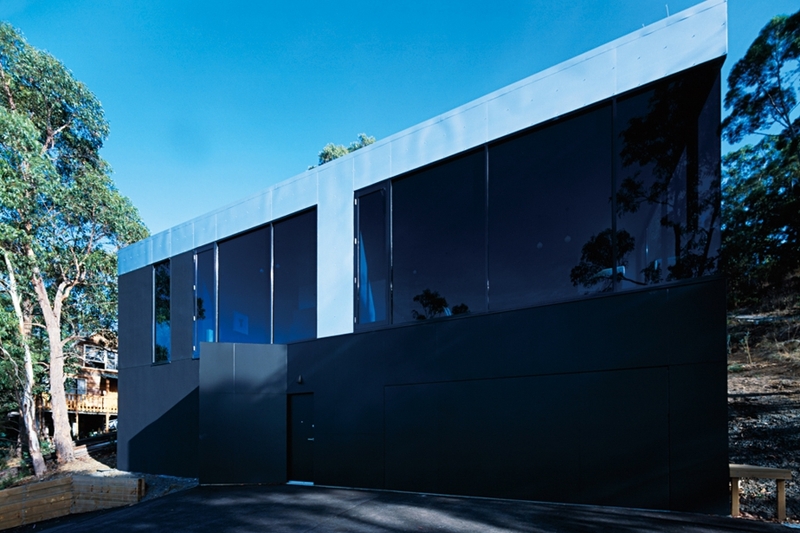 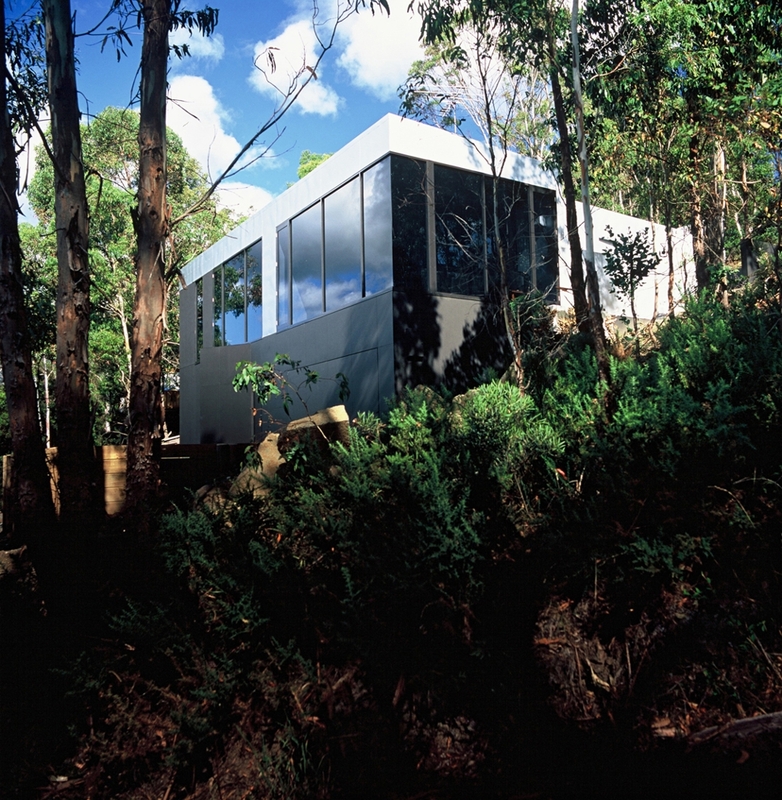 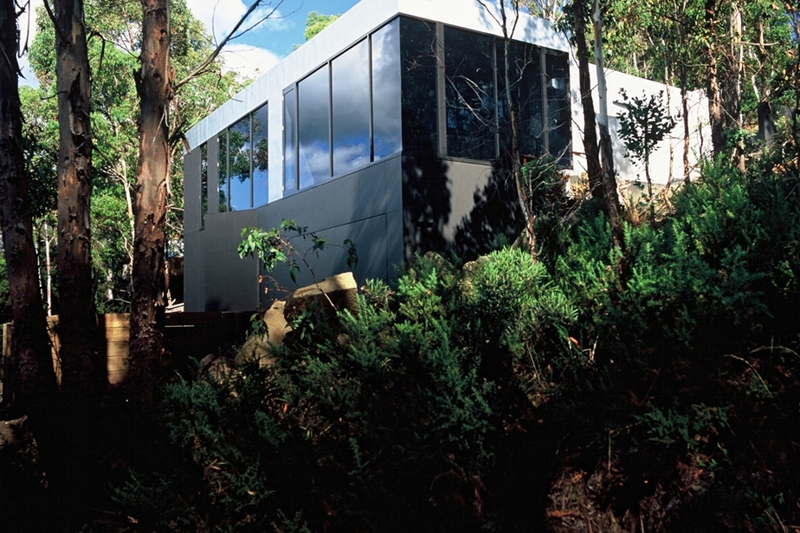 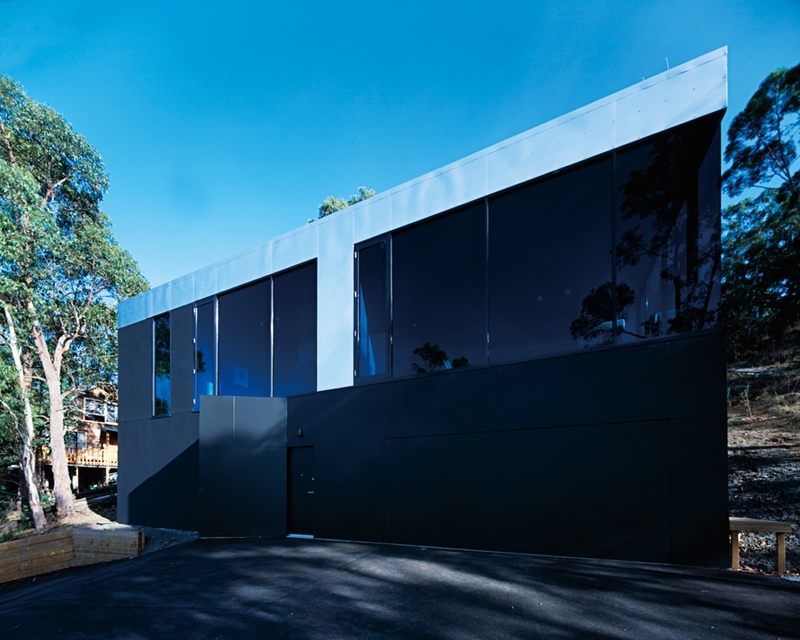 Externally this house is a blunt cube in the landscape, an uncanny object which responds to the gravitas and power of the landscape with a restrained formal language. 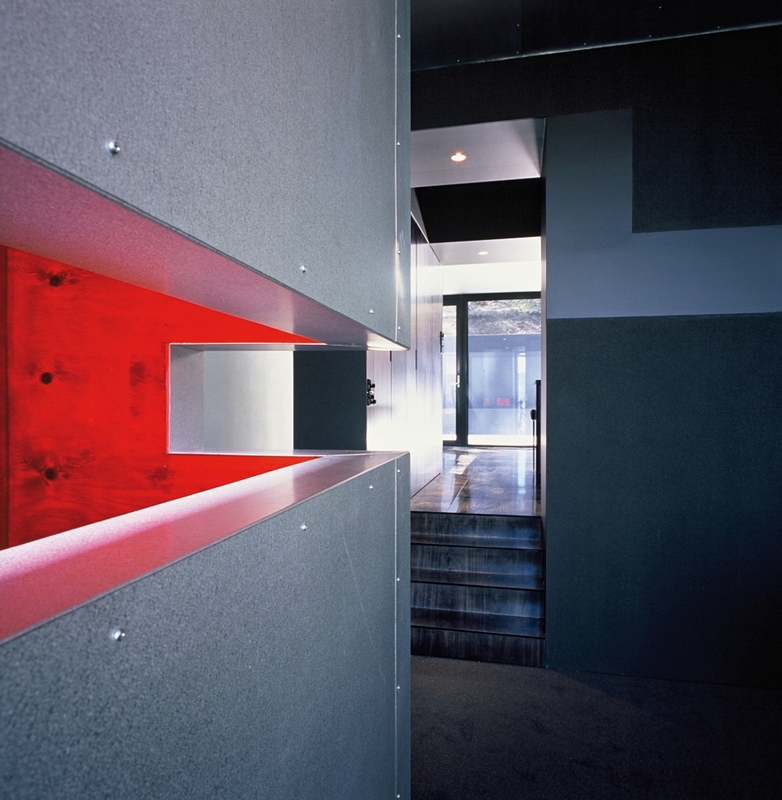 This restraint is carried through in the limited materials palette, darkened and unforgiving of the privacy of the occupants. 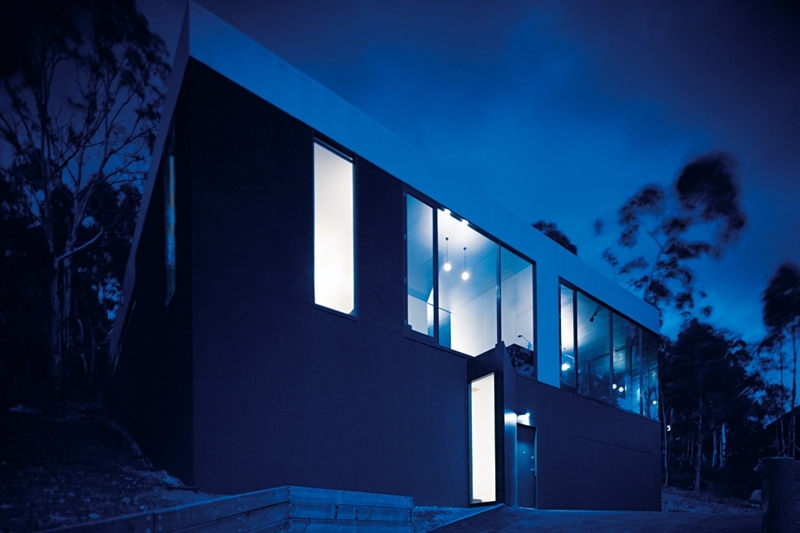 This external brevity is contrasted with a surprisingly rich and intimate interior. 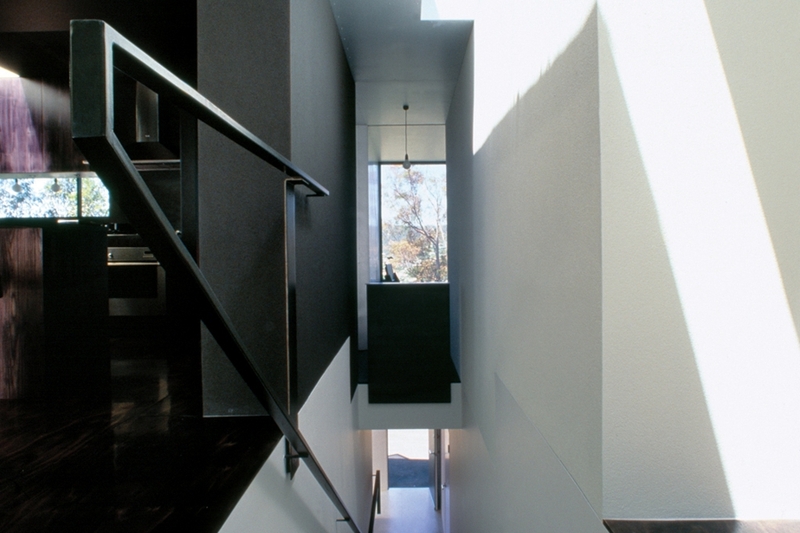 Public spaces of this interior are "carved" from the blunt block that establishes the house position on the site and are compressed by the more private functions - toilet, bathroom, bedroom etc - that occupy the solid components remaining from this carving action and which remain connected to from the base. 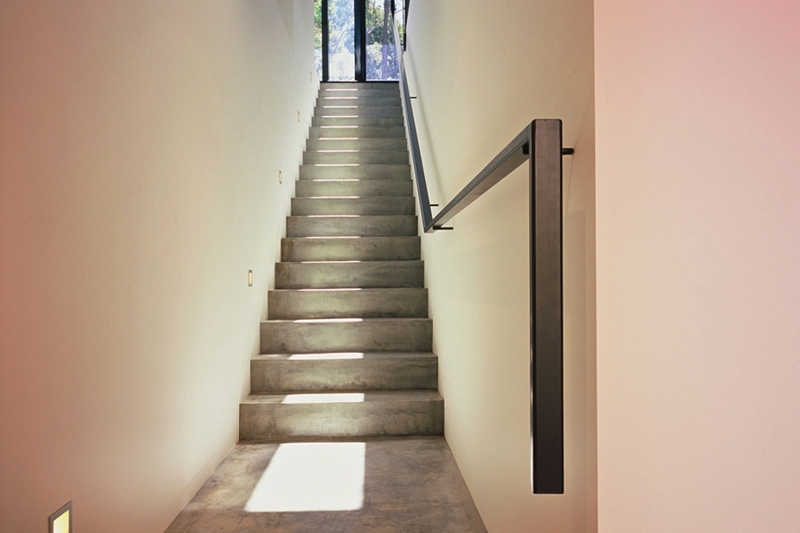 This carved action results in a refined materials palette built upon the exterior materials resulting in a robust but surprisingly intimate interior. 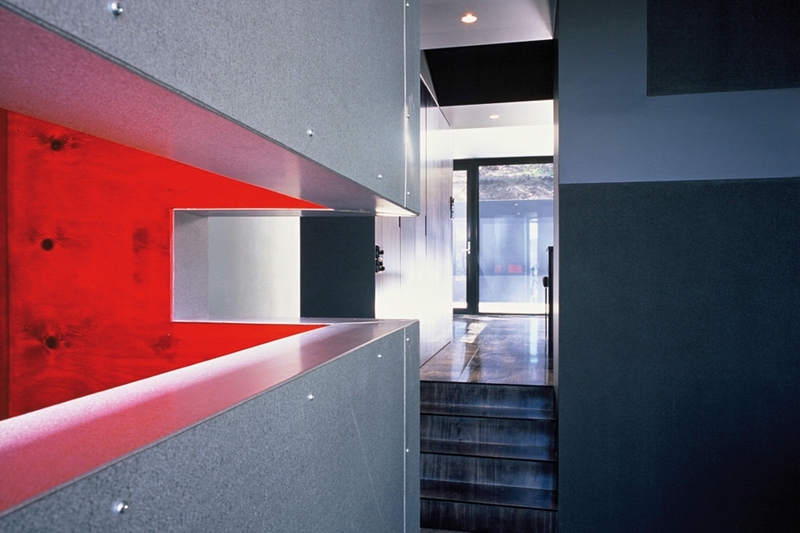 This externalizing of the materials palette has profound spatial implications and results in a tension between the inner and tightly sealed outer layer. 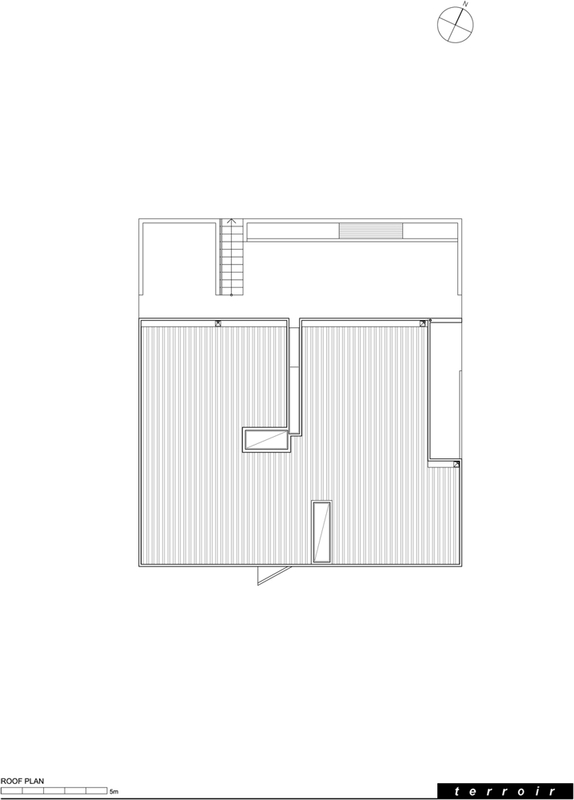 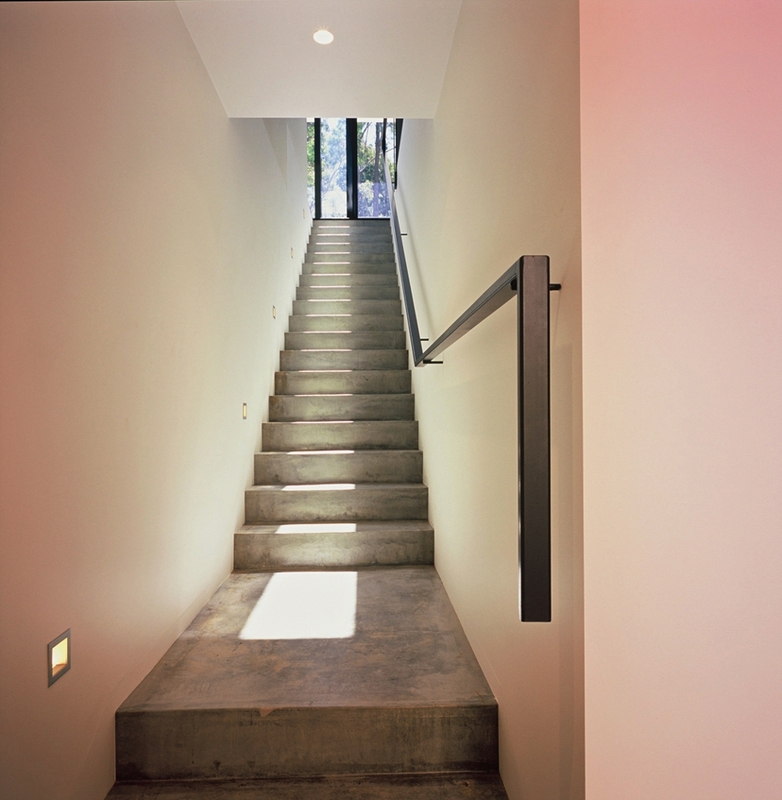 This tension between the inner and outer is played out in a range of complex spatial maneuovres as the external skin is bought into and sometimes passes entirely through the interior section of the house to distribute light to lower levels. 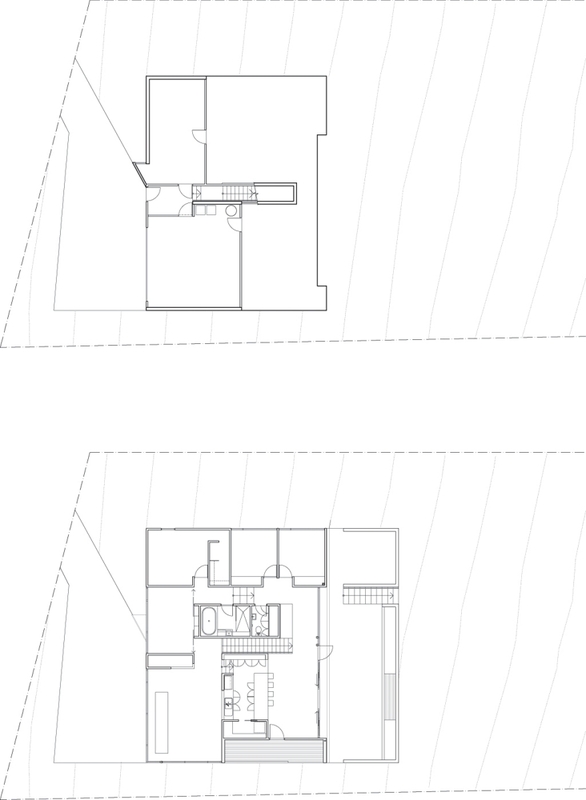 The core folds out into the landscape in a suntrap courtyard connecting the spatial sequence of the house with the slope of the site. 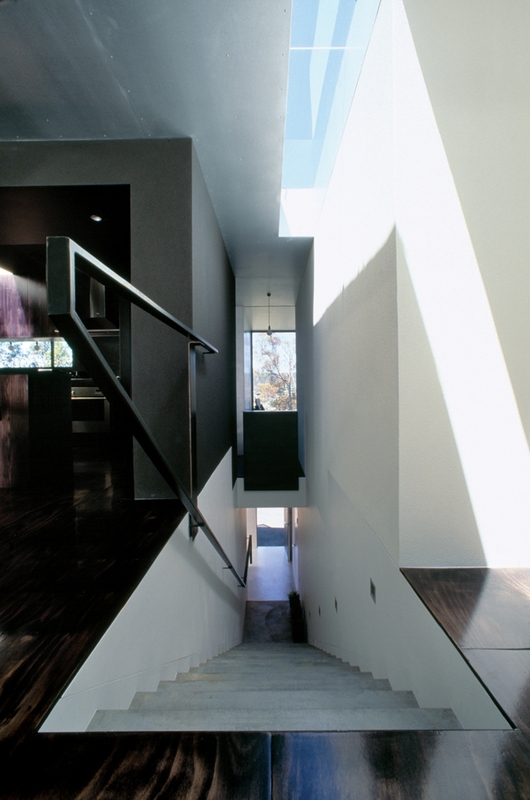 The courtyard and vertiginous windows suggest, conceptually, another level of folding outwards and interconnection with the greater landscape. 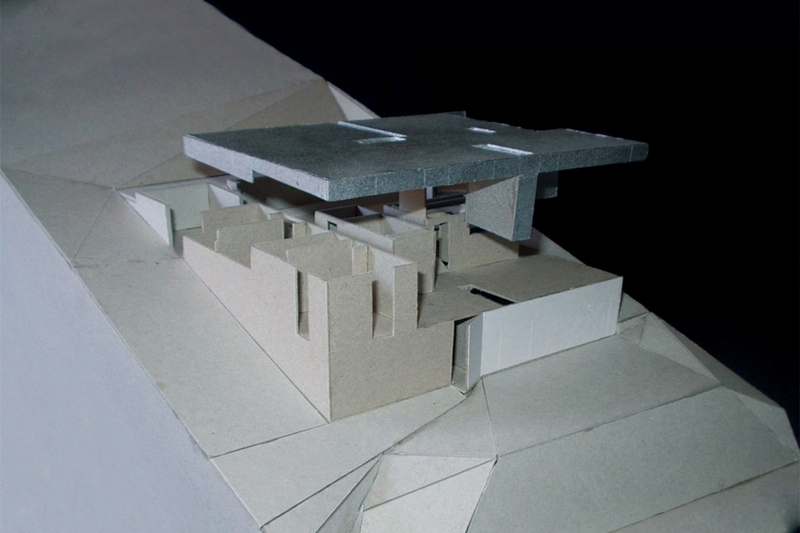 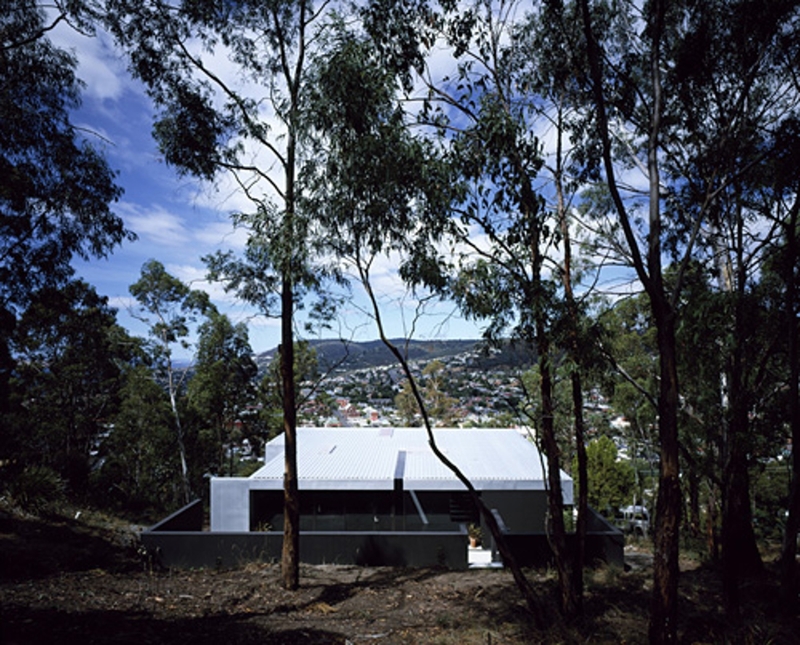 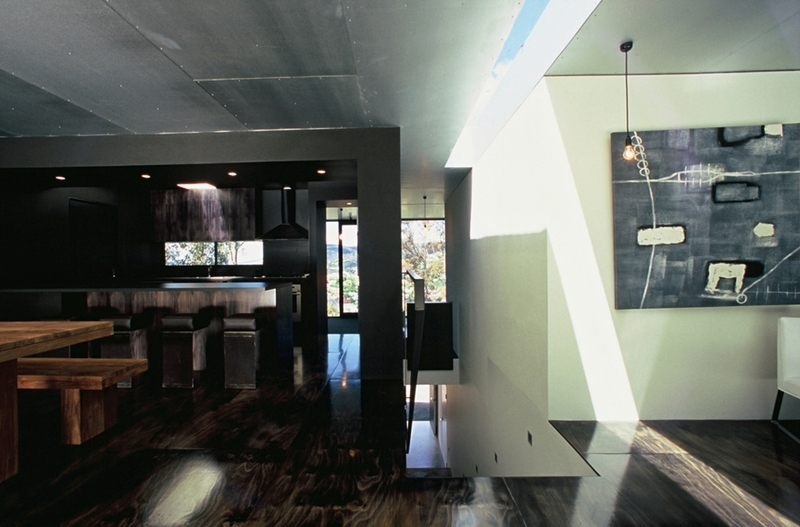 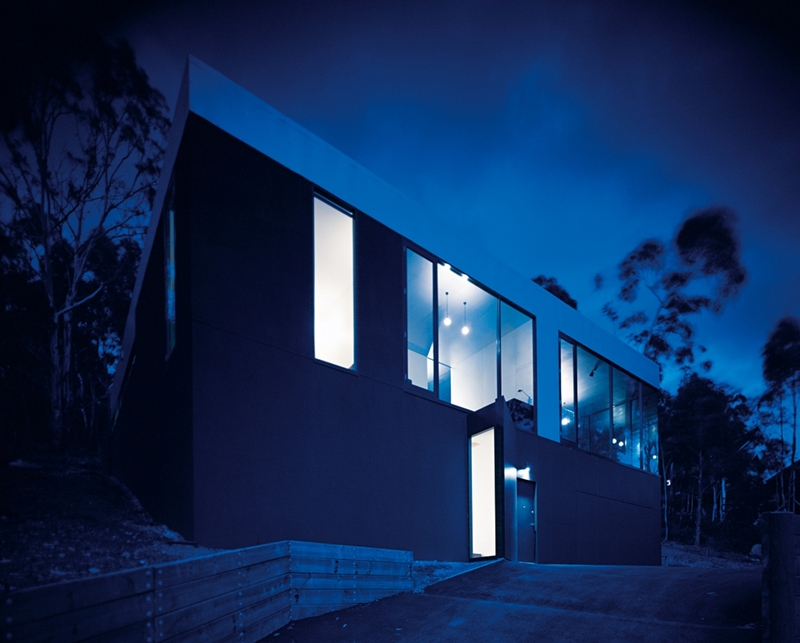 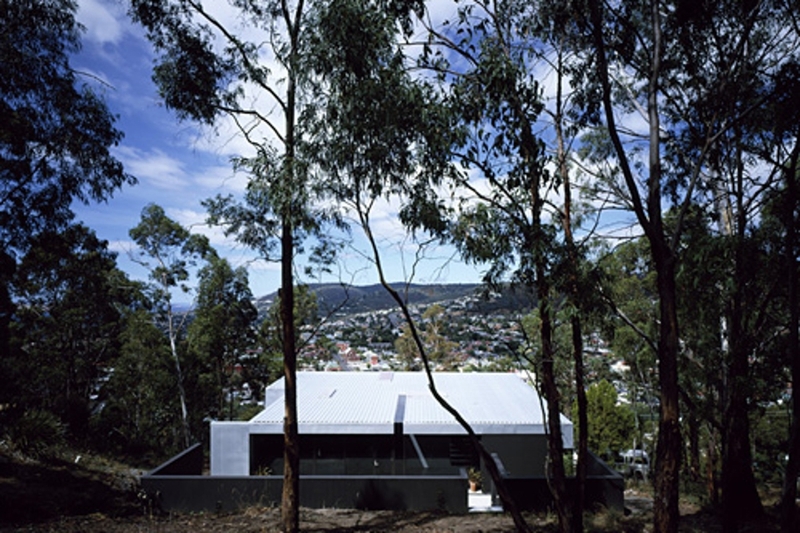 In this sense the play of interior/exterior is extended to take in the valley and the hill. 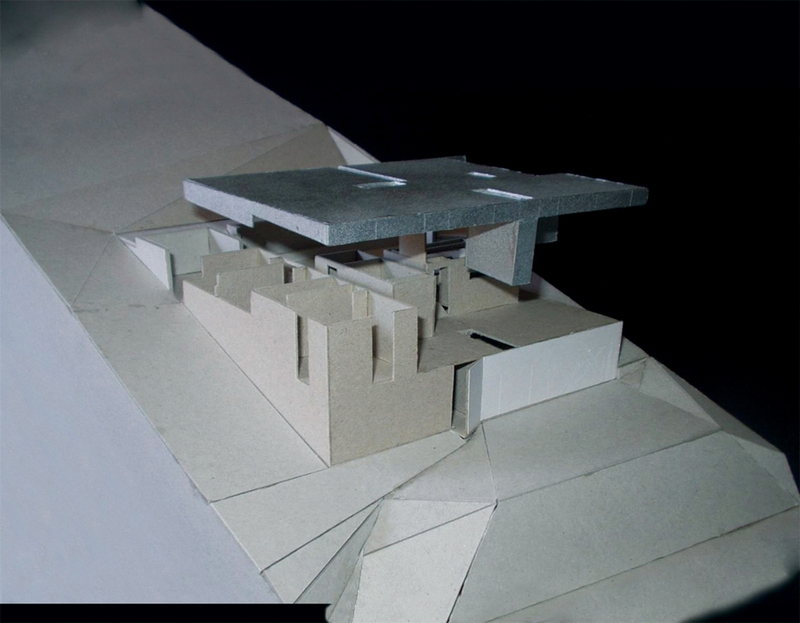 This house can be understood then as a play of doubles - blunt/intimate, interior/exterior, carved space/plateau - in which the experiential qualities of house, of home, of inside and landscape are folded together in a powerful expression of place. 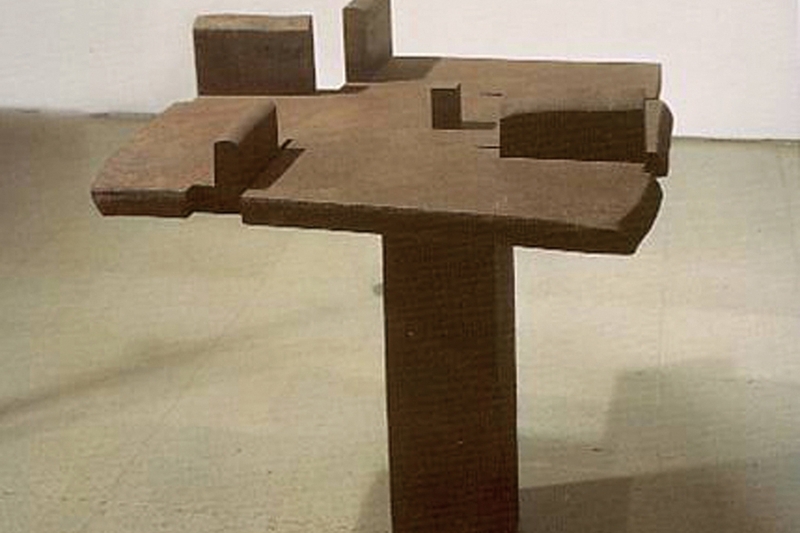 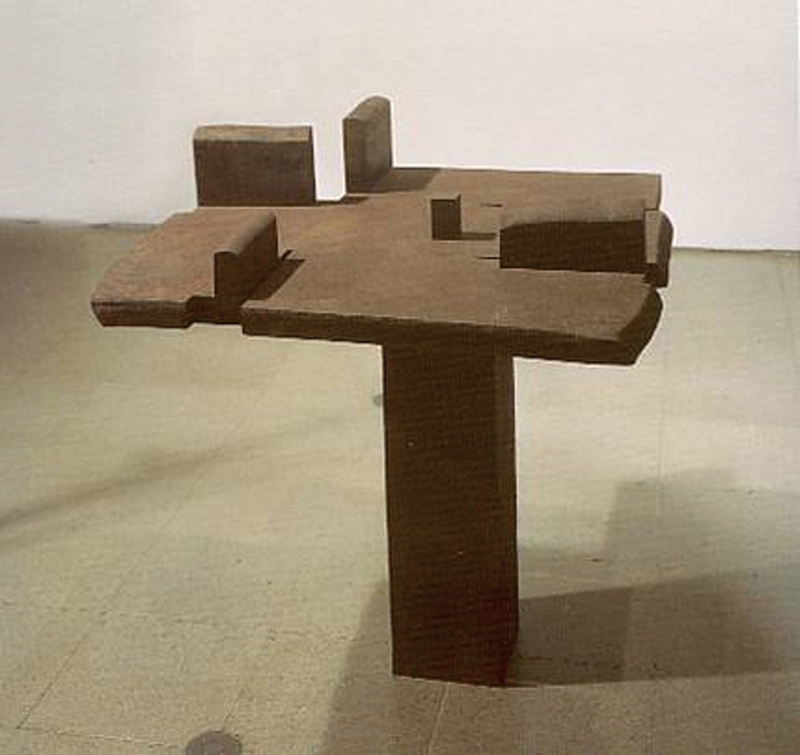 Image of 'La mesa de Giacometti, 1' by Eduardo Chillida Juantegui, 1988, courtesy of Archivo Fotografico Museo Nacional Centro de Arte Reina Sofia, Madrid. 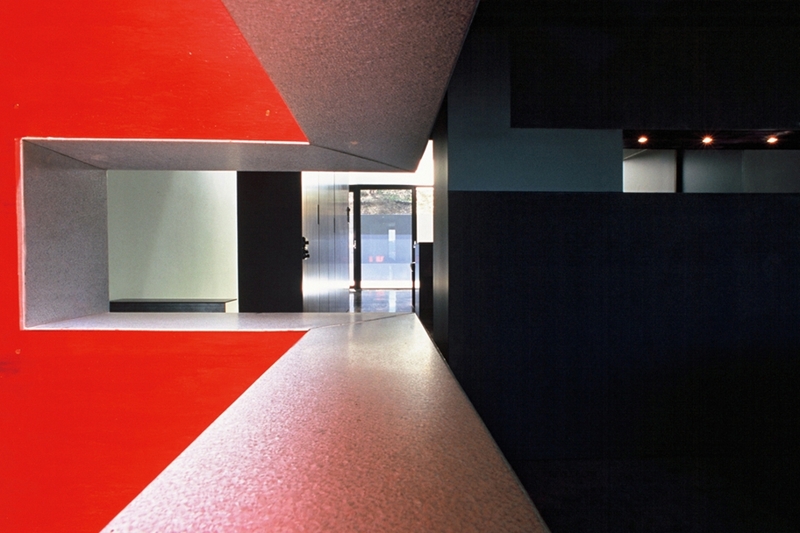 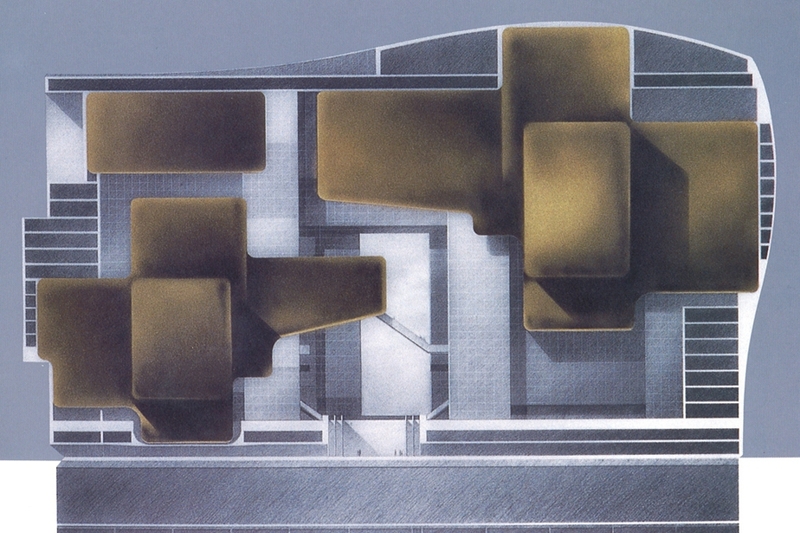 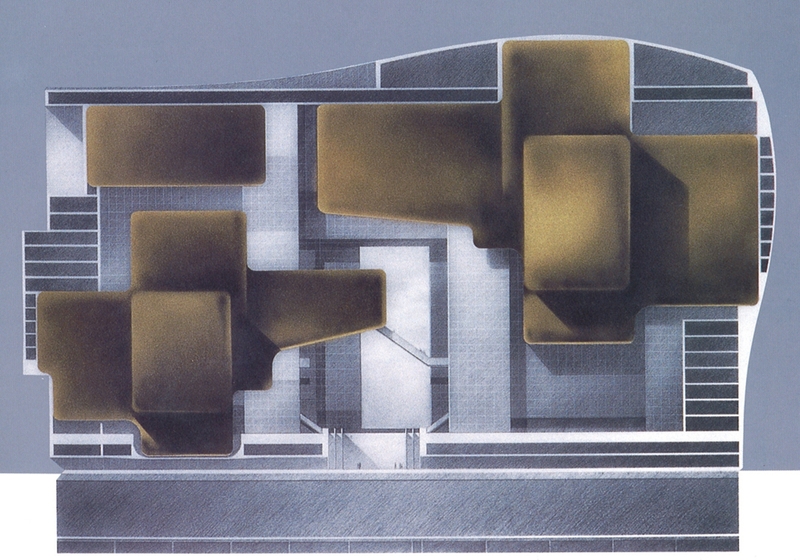 Image of Tokyo Opera House, 1986 by Vincent Lafont, courtesy of Ateliers Jean Nouvel.